Sport Access Foundation offers grants to Australian children with a disability so that they have an opportunity to play and participate in sport. Funds raised by Sport Access Foundation go towards providing financial assistance - through annual grants - for key sports projects and events for Australian kids who have a disability. When Sport Access Foundation first offered grants to help children with a disability to participate in sport, we received 27 applications. In 2018, we received 100. This year we are aiming to double that again and to reach as many children possible. Sport Access Foundation is proudly supported by its founding partner BlueScope, and King Wood & Mallesons, Zoggs Australia, Harvey Norman, Tagzart Design and Triathlon Australia. 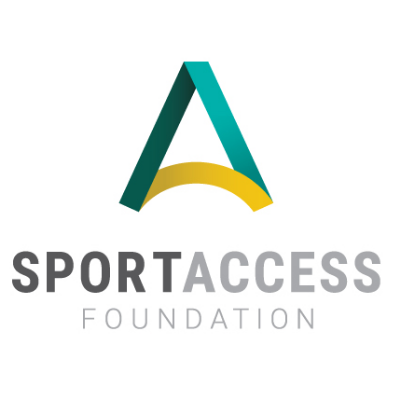 Sport Access Foundation was set up by Katie Kelly OAM, Australia's first Gold Medallist in the sport of Paratriathlon at the 2016 Rio Paralympics. Katie trains with Triathlon Australia's High Performance squad on the Gold Coast, under Coach Dan Atkins. After winning the 2017 World Championships, Katie's new goal is Tokyo 2020 Paralympics as she aims to make her second Paralympics. This is in lieu of a gift as requested by Barnaby Jones for his 9th birthday. A donation on behalf of Barnaby Jones birthday. For a great cause! Every small step leads to big feat! Katie Kelly does us proud every time, we're always happy to support her efforts with the Sport Access Foundation. All the very best of luck. Enjoy your sport as we will enjoy watching you. Such an awesome foundation. Keep up the amazing work! Love to support Sport Access Foundation where I can. Katie you are an inspiration and a good friend. I wish my donation to be used to cover any admin fees charged by ASF on donations by the Primary Club of Australia to the Sport Access Foundation. Hi KK - Happy New Year! Completely and utterly inspired by the grace, intelligence and work ethic of Katie Kelly. A privilege to know her and support her work. Contributing to making a difference... Way to go Katie a great achievement.